I'm looking at the calendar and am excited that this Friday finally ushers in National Poetry Month! I've been doing a bit of housekeeping here on the blog. You'll notice there is now a page (see tabs along the top) for National Poetry Month Projects. On it you'll find links to my National Poetry Month efforts since 2008. From this page you can link to each year's project and find the posts for each day in the month. If you are interested in getting a sneak peak for this year, click on Celebrations to find my list of topics for the upcoming month. I hope to see you back here Friday for the kick-off! 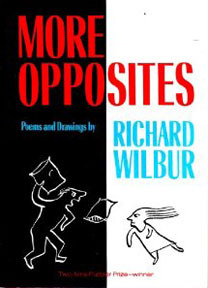 In the last few weeks I've spent some time reading the book MORE OPPOSITES (1991) by Richard Wilbur. Here's a bit of info from the jacket flap of the latter. "Richard Wilbur, his wife, and their four children used to play a rather unusual game around the dinner table. One member of the family would suggest a word, and then everyone would join in a lively quarrel about its proper opposite." Wilbur's first book based on this game, OPPOSITES, was published in 1973. The poems in both volumes are a bit nutty, thoroughly entertaining, and downright clever. Here's one from MORE OPPOSITES. (Unless it crashes in the trees). (If you can work the blasted thing). You might want to check out this video of Wilbur reading a number of opposite poems. So, your challenge for the week is to write an opposites poem. Please share a link to your poem or the poem itself in the comments. Spring ushered itself in with a bit of sun and cold today. I'm feeling the need to write simply about my second favorite season of the year. An apostrophe is a poem which directly addresses a person or thing that is generally absent, hence the more common name of poem of address. There are many days when I want to talk to someone who isn't here, to ask questions, to wonder. Poems of address require poets not to write about something, but to imagine what they would say if they could speak to the person, place, or thing being addresses. Will you join me in writing an apostrophe to spring? Please share a link to your poem or the poem itself in the comments. Last Monday I spent part of the day at the National Museum of Women in the Arts. It was pretty amazing to see the range of works by women. One of my favorite pieces was an accordion pop-up book on landscapes that included poems on every page. Sadly, it was in a glass case and hard to photograph. One of my favorite paintings was by German artist Gabrielle Münter. It is called Breakfast of the Birds. 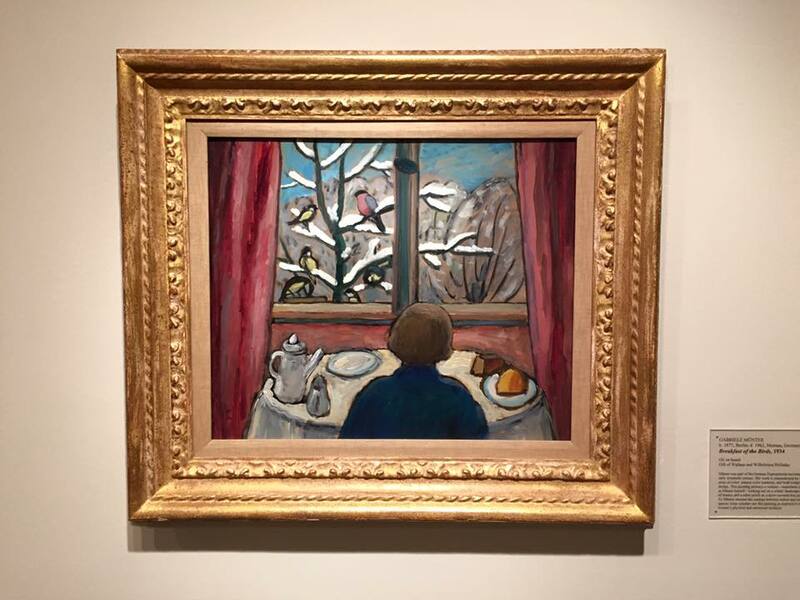 I've been thinking a lot about spring, birds, and this painting, so it seems fitting that we should let this work of art inspire our poems this week. I hope you'll join me this week in writing an ekphrastic poem or two for this piece. Please share a link to your poem or the poem itself in the comments. I'm revving up for next month's kickoff of my National Poetry Month project. Inspired by World Rat Day: Poems About Real Holidays You've Never Heard Of (written by J. Patrick Lewis) and The Poetry Friday Anthology for Celebrations: Holiday Poems for the Whole Year in English and Spanish (compiled by Sylvia Vardell and Janet Wong), this time around I've decided to focus on daily, weekly, and monthly celebrations held during the month of April. In addition to information about each celebration, I'll offer up poems, books of poetry, children's books, and more. I've finally selected the celebrations and topics for each day. I can't wait to dig in and see what kind of resources I'll be able to share. I can't wait for April to begin! I hope you'll stop by to help me celebrate. 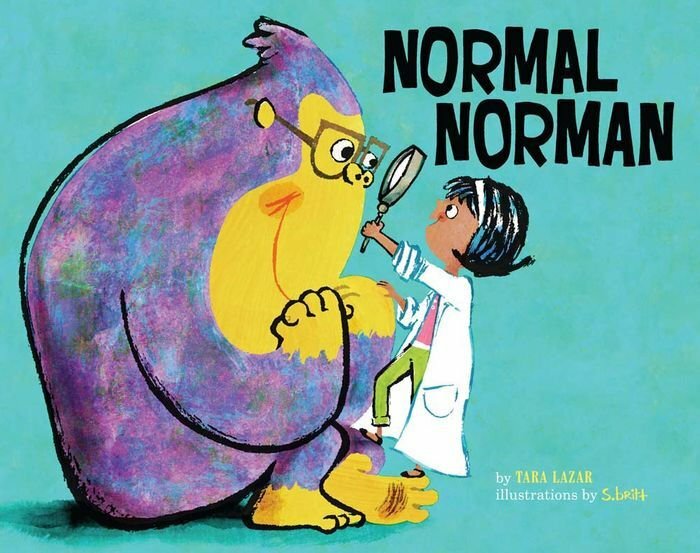 Normal Norman, written by Tara Lazar and illustrated by S. britt, is a study in normalcy ... or not. I hear that word normal a lot, and in education, it's not a good word. What is a "normal" student? When we see unexpected behaviors you'll hear "That's just not normal." One size fits all doesn't work in the classroom, and it certainly doesn't work in the real world. And that's really an important point in this book, because normal means being true to yourself, not to the expectations the world holds for you. We're at the tail end of this blog tour, and lots of other folks have written great reviews of this book (see schedule at end of post for links), so I want to take this in another direction. Here's where my mind went when I first read this book. The front endpapers - As soon as I opened the book I knew I had a great example my science class. Have you ever taken the DAST? The DAST is the "Draw A Scientist Test." It is designed to get students to think about who scientists are, what they do, and where they do it. Most students draw something similar to what is seen in the front endpapers. What most picture when they hear "scientist at work" is a space similar to a chemistry lab, with beakers and test tubes, equations on the wall or board, the periodic table, etc. This scene is no different. That's okay, because I like breaking down the stereotype. The opening - The book opens with this introduction. Hello and welcome to "Normal Norman." This is my first time narrating a book. I'm a bit nervous. I hope it goes well. On the facing page is a picture of the Head Scientist (a man sitting behind a desk bearing a sticker that reads I ♥ science) and the Junior Scientist, our intrepid narrator. Clearly, the goal here is to come up with an operational definition. This can be a tricky concept for students, as an operational definition is a clear, concise detailed definition of a measure. By the end of the book it's clear that one does not exist for the word normal. The narrator - Most students completing the DAST draw men at work in science, not women. I love that the junior scientist and "humble narrator" is a young girl, tasked with observing and describing Norman. The science - Science experiments and demonstrations sometimes don't go as planned. They often provide unexpected results. They can be frustrating, particularly when they don't go your way. Our narrator learns this lesson very quickly. Scientists can't make results go their way, no matter how hard they try. And boy, does the narrator try to get Norman to act normal. The language - I'm quite taken with the way Lazar has managed to use context clues to help define terms. Here's an example. average animal on earth. Regular. Ordinary. A common, everyday creature. Return from the brief interruption - Not all work scientists do happens in a lab. In fact, quite a bit of it happens in the field. When Norman asks the junior scientist to join him and his friends in their natural habitat, she naturally says yes, and the scene moves outdoors. The ending - The fact that the head scientist picks up the clipboard and writes in some results is most satisfying. I won't, however, give away this perfect ending. The back endpapers - The head scientist and junior scientist look a bit startled to find that Norman is now observing them. I had to chuckle. It was a wonderful contrast to the front endpapers. Text ©2016 Tara Lazar, all rights reserved. Illustrations ©2016 S. britt, all rights reserved. I thoroughly enjoyed NORMAL NORMAN and can't wait to share it. Thanks to Josh Redlich for including The Miss Rumphius Effect in this tour. I made an impromptu visit to DC to spend a few quality hours with my sister, so today I'm sliding in just under the wire with this week's stretch. Arte Mayor is a Spanish verse form. It is composed of an 8-line stanza with the rhyme scheme a b b a a c c a. Each line is composed of 12 syllables in two hemstitches. The lines use amphibrachic tetratmeter. This means the stress are on syllables 2, 5, 8, and 11. So, there's your challenge for the week. I hope you'll join me in writing an arte mayor. Please share a link to your poem or the poem itself in the comments. We had a whole month (albeit a shorter one) to write sedoka. For some reason I couldn't get going on this one, and really struggled to find a topic to write about. I didn't read the poems my sisters wrote, because I was afraid that would make writing my own poems harder. I finally found my voice and subject late Wednesday night into early Thursday morning, as I watched Scott Kelly return to US soil. I've been avidly following his year. I've read the tweets, watched the videos, and marveled at a life lived in space. It's been bittersweet for me, as at every turn I was reminded of my father, who would have loved following and sharing this. I know he would have watched Kelly's departure from the space station and return to Earth as eagerly as I did. 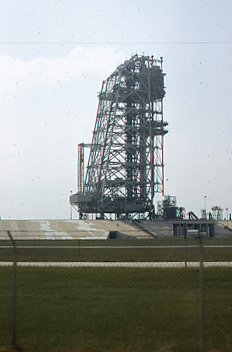 So, my poems for this month's writing challenge are all about space. Before I share them, here's a bit of information about the form. The sedoka is a Japanese poetic form that is an unrhymed poem made up of a pair of katuata. A katuata is a three-line poem with the syllable count of 5 / 7 / 7. Generally a sedoka addresses the same subject from different perspectives. You can check out some of Scott Kelly's photos at National Geographic, or on his Twitter feed @StationCDRKelly. You may also want to check out this brief video. You can read the sedoka written by my Poetry Seven compatriots at the links below. 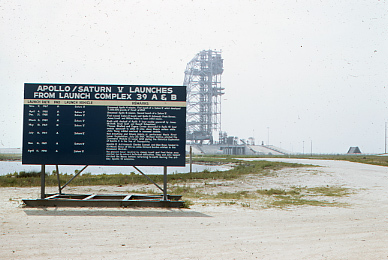 Before I link you to the round up, here are a few photos (scanned from my father's slides) from our visit to Cape Canaveral in 1970. I do hope you'll take some time to check out all the wonderful poetic things being shared and collected today by Linda at Teacher Dance. Happy poetry Friday friends!